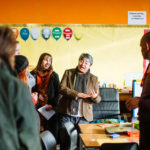 The Selby Centre, which is located in an area of high deprivation, brings together a rich mix of individuals and organisations, primarily from BME, refugee and other historically excluded communities in Tottenham, Haringey, North London and beyond. The Selby Trust was registered in 1993 after a local campaign for a community hub that local people could call ‘home’, and that would provide affordable services. Today, The Selby Centre manages a 2.3 acre former school site which it leases from Haringey Council. The Selby Trust were coming to the end of their 25 year lease with the council and struggling to get an agreement for a much longer lease. Power to Change awarded them a £10,000 grant to pay for planning, development and legal support and the Council leadership has agreed that a lease can now be negotiated and a site redevelopment achieved within a 4 year period. With over 500 visitors a day, the community have access to programmes either run by The Selby Trust or delivered by the 100+ social enterprises, environmental projects, charities, not-for-profits, sport groups, employability support organisations and faith groups that use the Centre regularly. Local residents and community groups worked with The Selby Trust and saw the potential of the former school site in Tottenham and persuaded the council to lease it to them. The Trust has worked hard with volunteers and onsite community groups to invest in and improve the site, so that now it is fully occupied and houses a soft play space, an NHS recruitment agency, an Olympic sized boxing ring, a wedding banqueting hall, community offices, a community newspaper, meeting rooms, training facilities, a ‘global’ garden, a sports hall and the local DVSA driving school, which are well used by over 100 social action organisations. The Selby Centre generates £1 million annually, and pays its 20 local staff salaries largely from its earned income. It also generates support and small amount of income from corporate away days, and even on occasion, offers courses in making solar panel battery chargers. Every year, the centre reaches a total of 173,000 people, and in 2017 it attracted 797 volunteers from 28 firms. The Selby Trust has 20 members of staff from 12 ethnicities, as well as 22 languages spoken between them. The centre is the reason for having the third largest concentration of employment in Tottenham, and is the second biggest community centre in England. 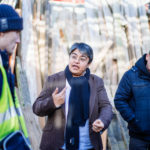 Through community organising, outreach and social media, The Selby Trust has attracted French, Norwegian, Japanese, German, Urdu, Somali, Arabic, Twi, Caribbean Patois, Malayalam and English speakers to the centre. The simple act of bringing people together unleashes creativity, opportunity and energy people create themselves. The multi-purpose community centre allows local people to find jobs, receive advice, acquire new skills and contribute to society locally and nationally. They have provided support to over 100 micro community businesses, including helping to set up enterprises with women’s groups and people with disabilities. ‘It’s a living demonstration that mass participation – or community development as we call it – is better than centralised power – with 37 social organisations’. Without The Selby Trust’s collective interventions, local working-class and BME communities will continue to miss out on prosperity from regeneration, educational opportunities, good health, housing and the ladder to better prospects that we all seek for our children. The Trust promotes good environmental practice in the community by conducting door-to-door outreach amongst local residents and community organisations, e.g. energy saving advice, by having installed power down devices and energy saving light bulbs. In a 26 year history, The Selby Trust’s motto of serving as a model for “many cultures, one community” has delivered training courses in quality standards and developing the ability to deliver amongst small grass roots groups, provided funding information and partnership development programmes that have reached over 250 members in 11 London boroughs. With a longer tenure, the Trust hope that we will be able to respond to the needs of migrants for longer and a more sustainable level.